Please Donate to the Pocantico Food Drive! Please join us in donating non-perishable food items that will be distributed to those who are hungry in our community. Listed below are items we are requesting to fill our Thanksgiving food baskets. Send in items with your children or drop off to the collection bins at the front desk or in front of Mr. Harrington’s office. Please no glass items, water bottles, or juice boxes. All items must be unopened. Please check expiration dates. 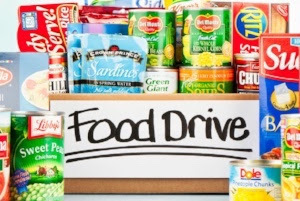 If you are not able to shop, you can send in a donation by check payable to Pocantico Hills PTA (please insert a note stating “Food Drive”) and we will do the shopping for you.